Successfully Added AGM X2 Rugged Android Phone - 5.5-Inch FHD, IP68, Android 7.1, Octa-Core CPU, 6GB RAM, 128GB ROM, Dual-IMEI, 4G (Gold) to your Shopping Cart. With the AGM X2 rugged phone at your side, you’ll be able to enjoy the latest Android features no matter where you’re at. 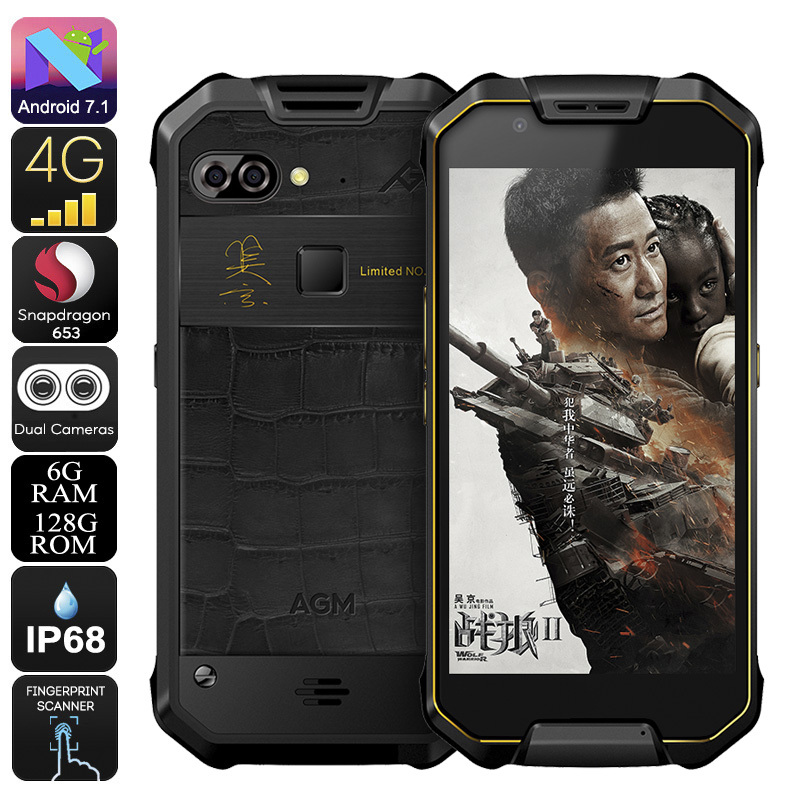 With its IP68 rated rugged body, this Android phone will follow you anywhere you go. It is resistant to water, shocks, and dust. Therefore, you won’t have to think twice about taking your smartphone along on your upcoming outdoor trips and adventures. Thanks to its Dual-Lens 12MP rear camera, it even allows you to shoot stunning pictures while enjoying the outdoors. Additionally, its 16MP front snapper is great for taking selfies and for engaging in Full-HD online video calls with friends and family. The latest Android 7.1 operating system lets you tackle the most recent and demanding software available. Along with the phone’s Octa-Core processor and 6GB RAM, the AGM X2 smartphone is guaranteed to handle whatever you throw at it. With Play Store access you can download the latest films, games, and Apps in the blink of an eye. All these media can be enjoyed on the phone’s beautiful 5.5-Inch Full-HD display. Whether you’re at home or outside, with this rugged phone you’ll always stay entertained. Within its body, this latest Android phone furthermore packs a powerful 6000mAh battery. This cell lets you head out with confidence as you’ll never have to worry about running out of juice again. With Dual-IMEI numbers and 4G support, your Android phone keeps you connected wherever you are. Whether you’re at home, the office, or traveling abroad – with this Android phone at your side, you’ll always stay without reach to friends and family. The AGM X2 rugged phone comes with a 12 months warranty, brought to you by the leader in electronic devices as well as wholesale Android smartphones..